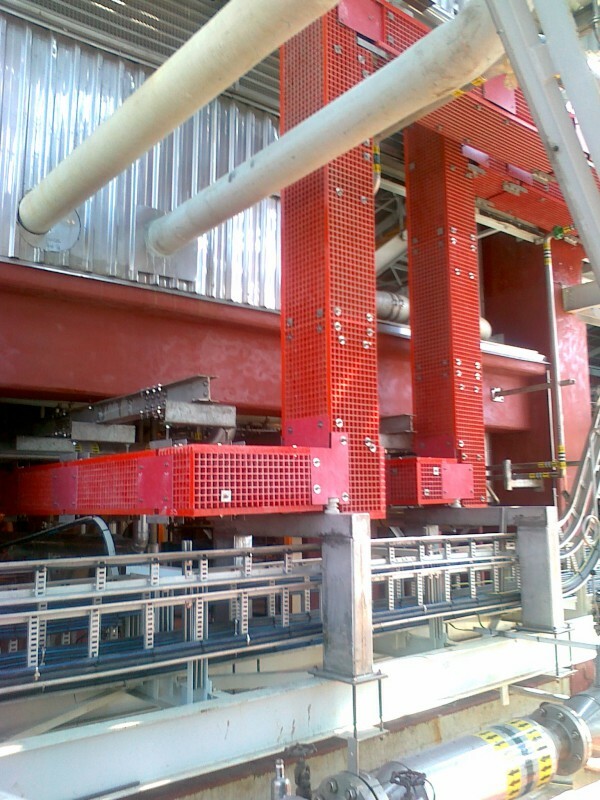 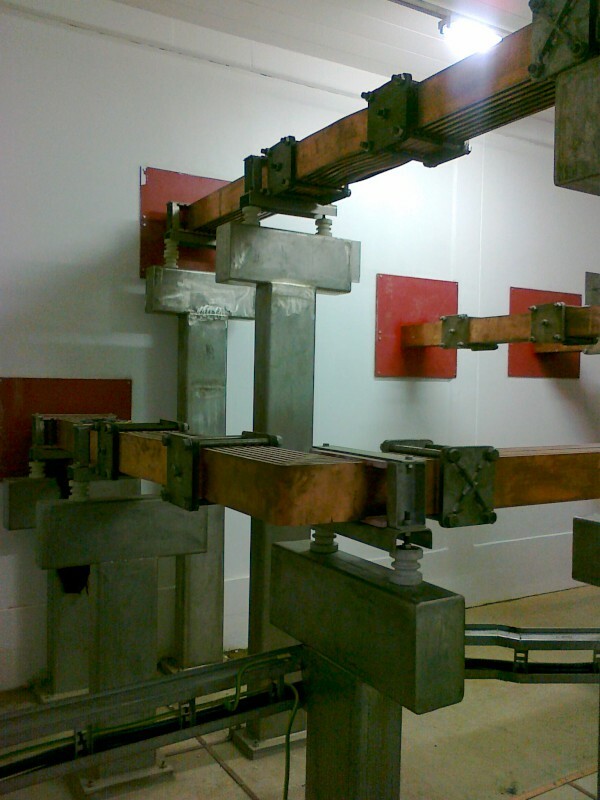 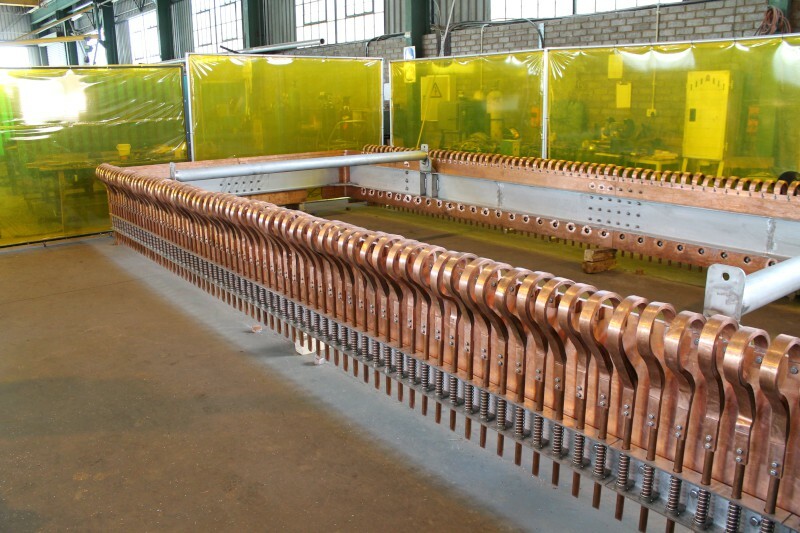 Busbar Services covers the design, manufacture installation & commissioning of DC Busbar Systems in both copper and aluminium for recovering Copper, Nickel, Zinc, Cobalt and Chlorine Derivatives. 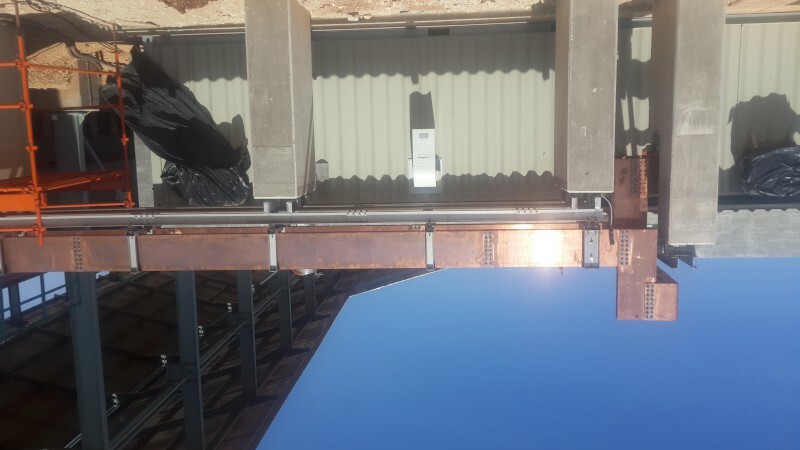 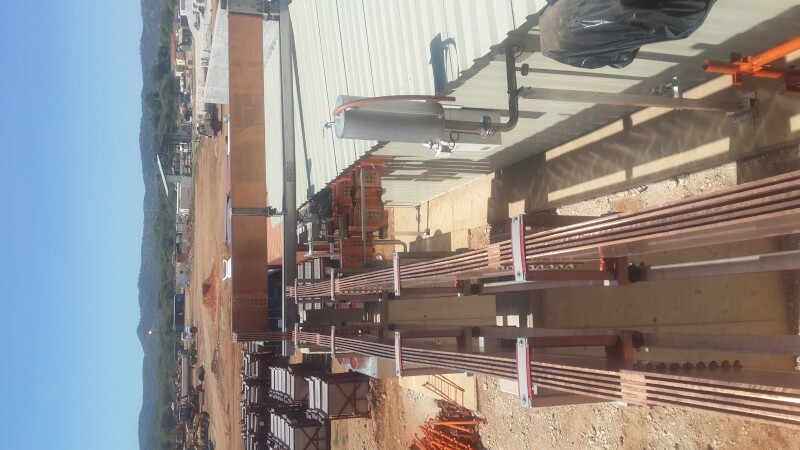 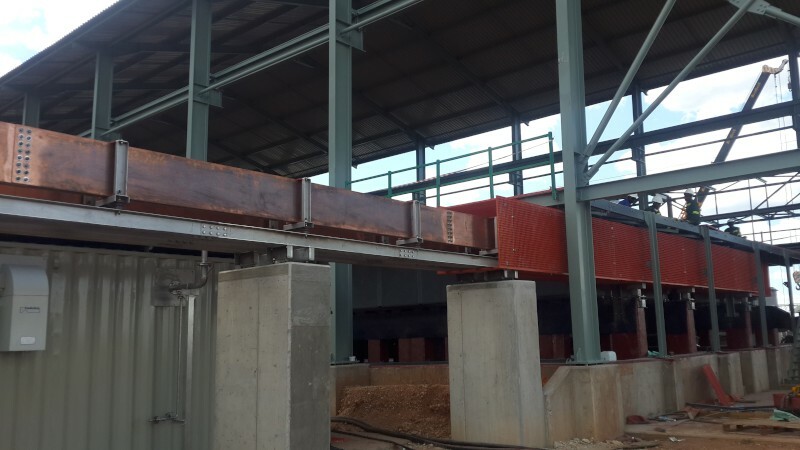 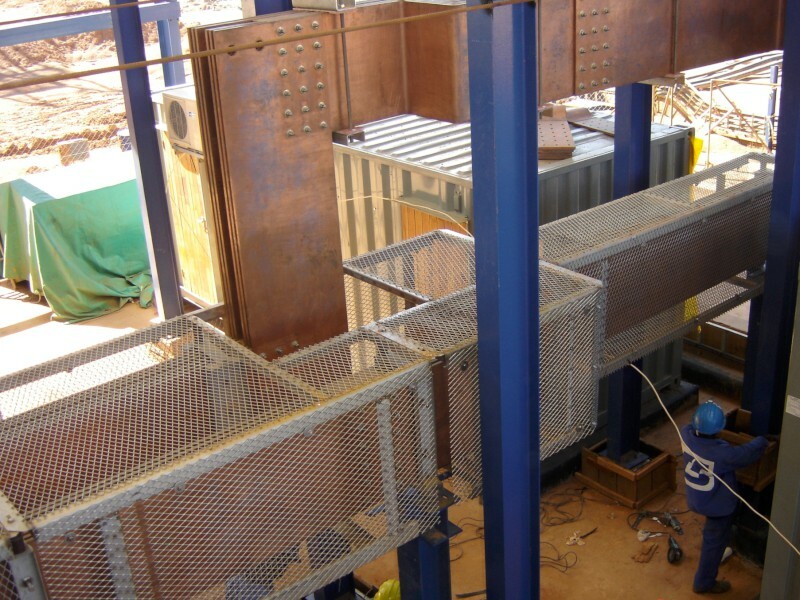 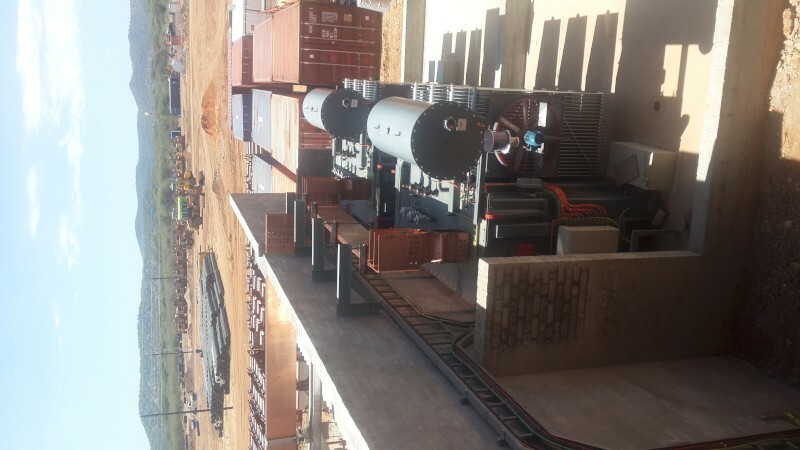 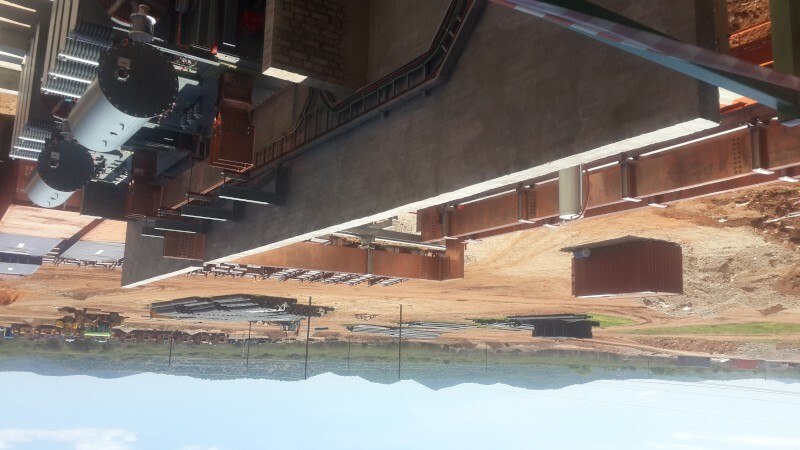 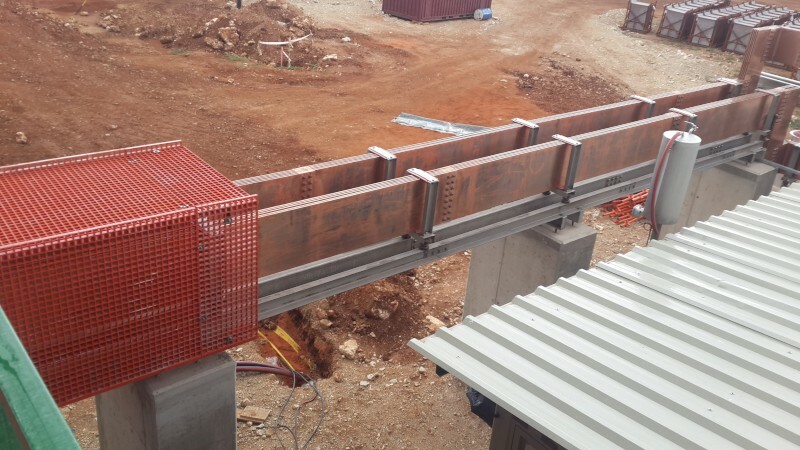 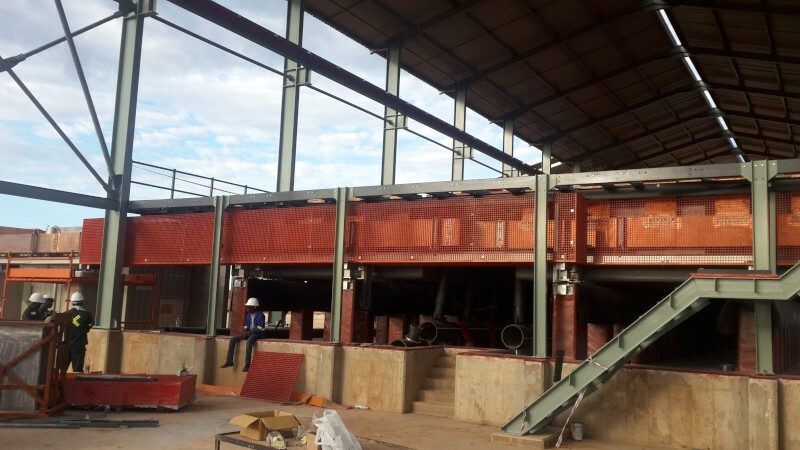 Busbar Services is housed in a modern well equipped factory situated in Johannesburg, South Africa where they manufacture Busbar for Electro-winning Tankhouses. 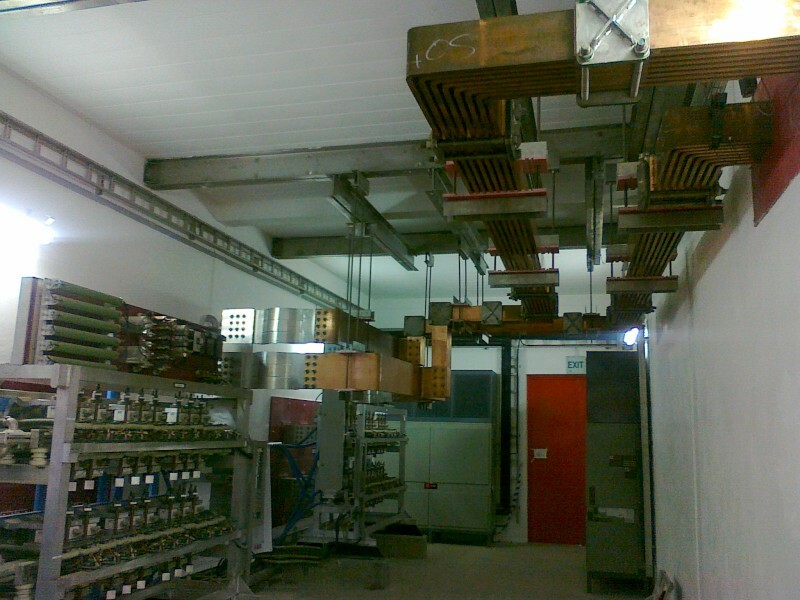 DC busbars consist of the main feeder busbars from the rectifiers / transformers to the cells, which are connected to the cell top busbars by means of riser busbars. 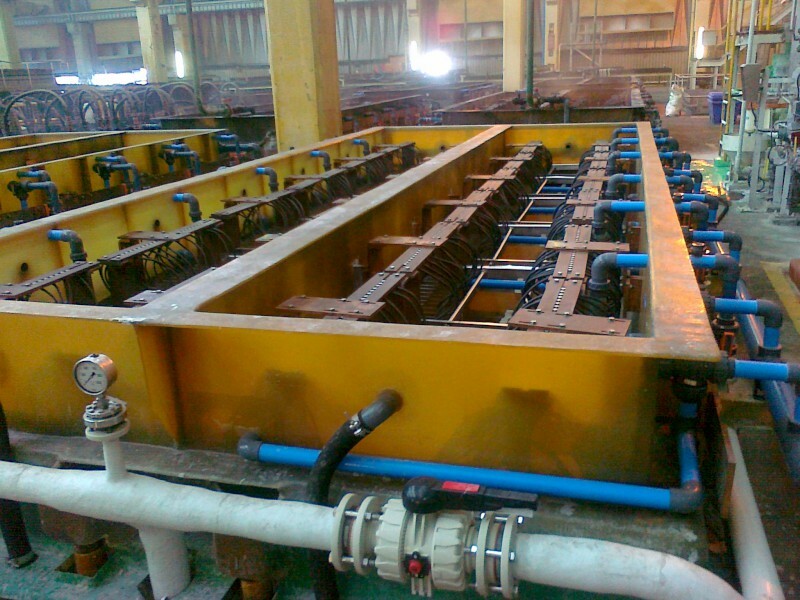 The main feeder busbar consist of the positive and negative runs which conduct the D.C. Electrical current to the tankhouse. 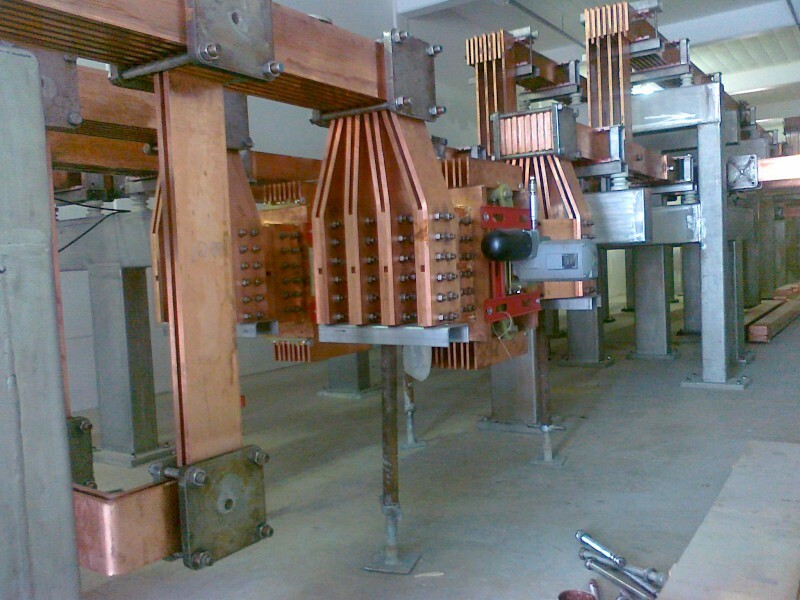 The cross-over busbars connect the row of cells to the next row of cells completing the circuit from the rectifier which is positive to the transformer which is negative. 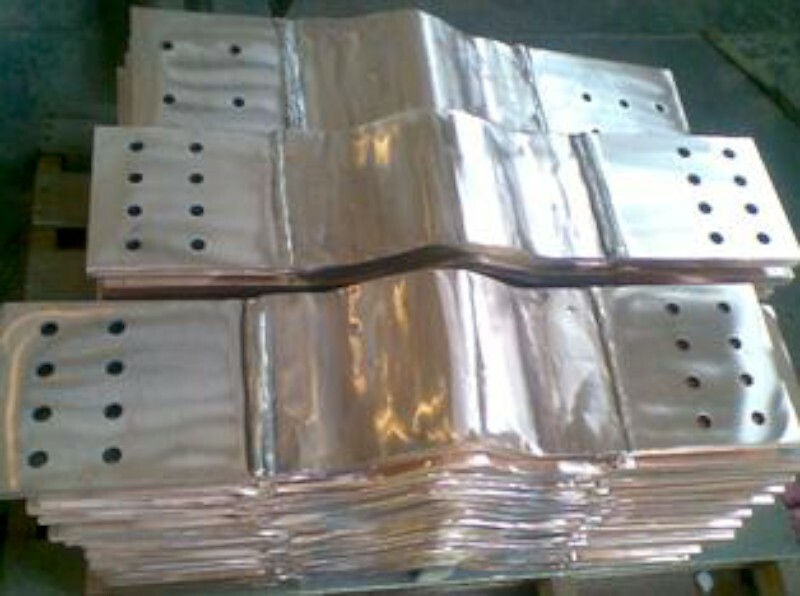 Busbar Services also supplies the cell top busbars where the anode and cathode hanger bars are suspended from. 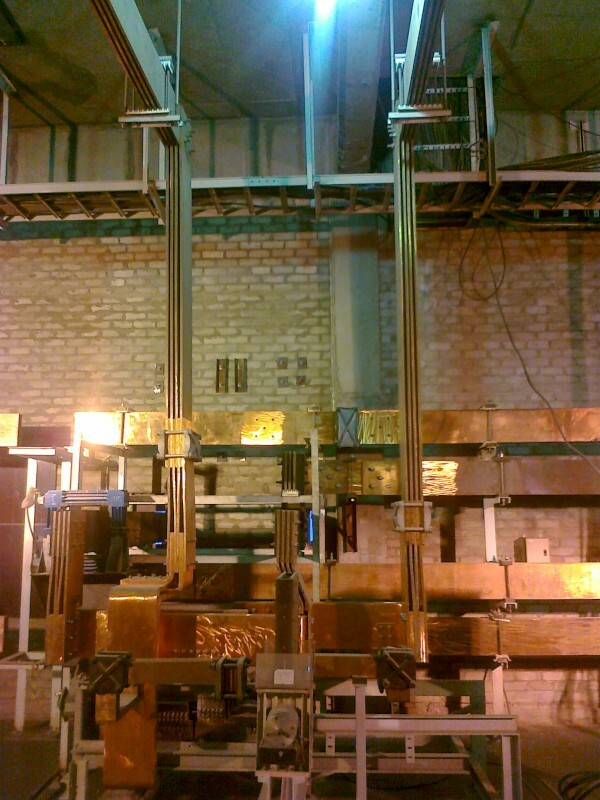 The cell top busbars vary in size and shape depending on the operating current and the requirements of the specific project. 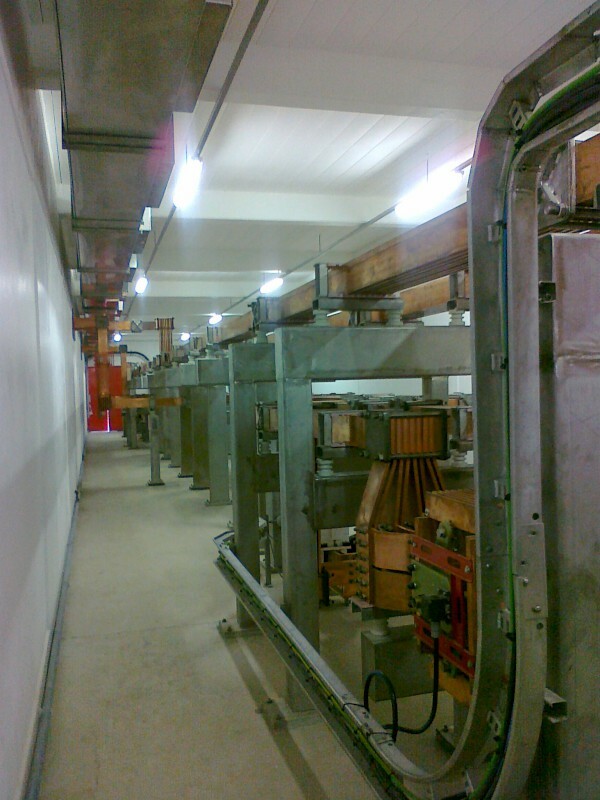 Current density requirements of the busbars. 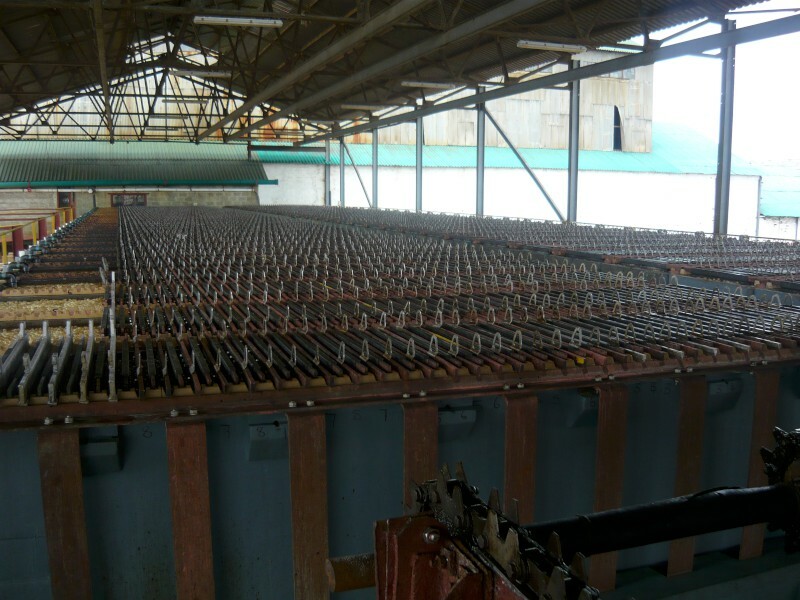 Busbar Services also manufactures shorting frames for the tankhouses, used for shorting out one or more cells for the purpose of harvesting the cathode plates. 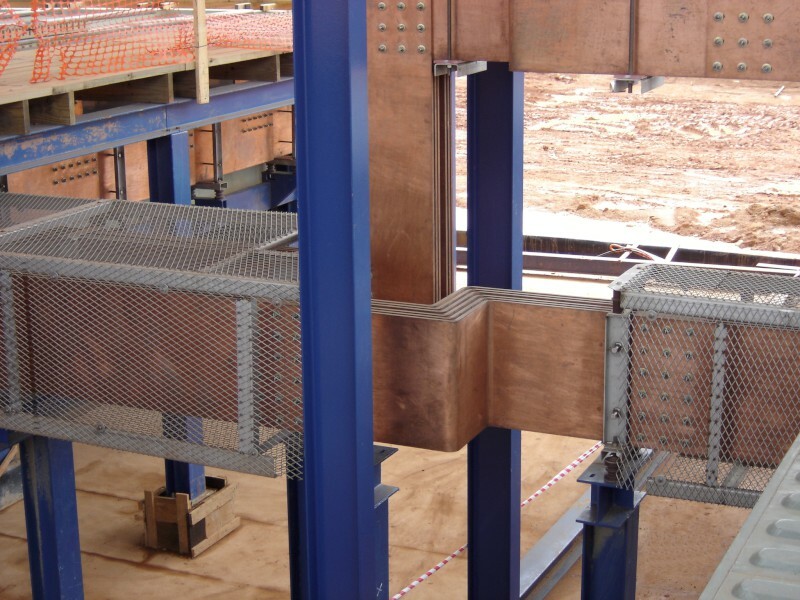 The shorting frames are also used when maintenance is required on individual cells.Our shorting frames are spring loaded which allows for any variations in the height of the cell top bars. 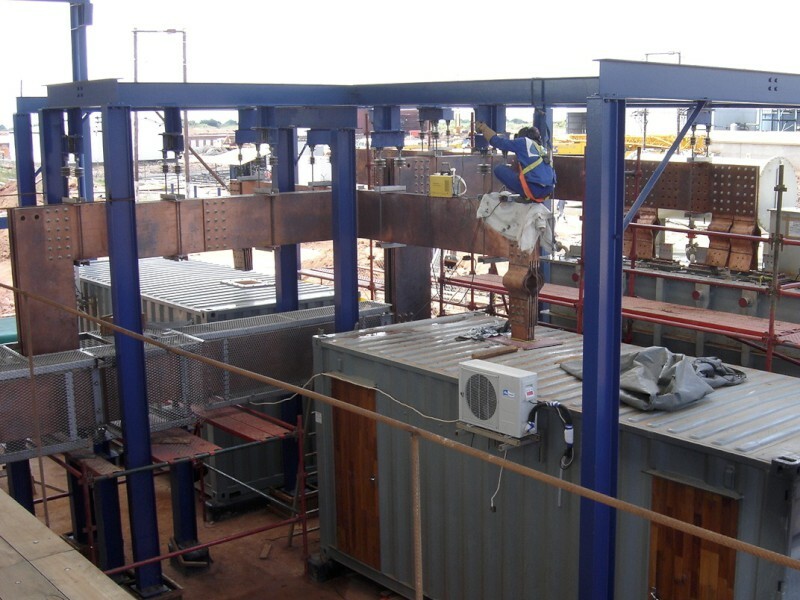 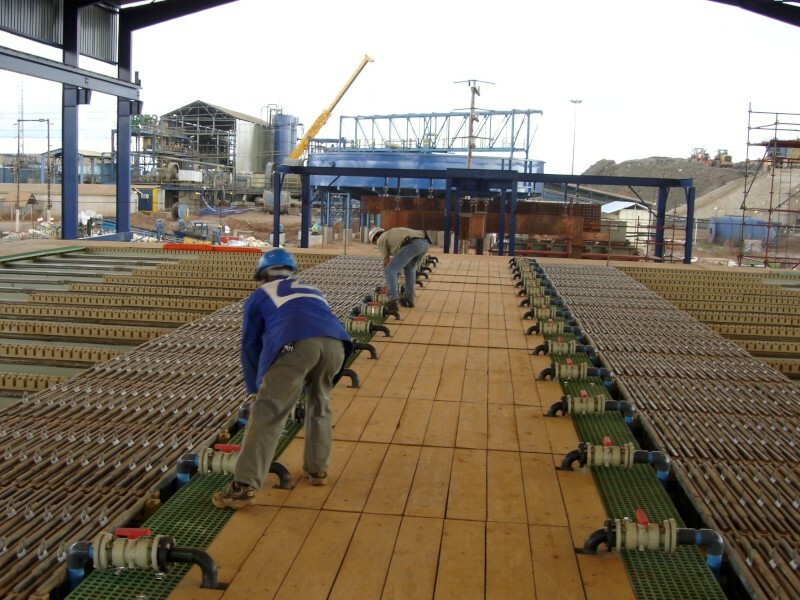 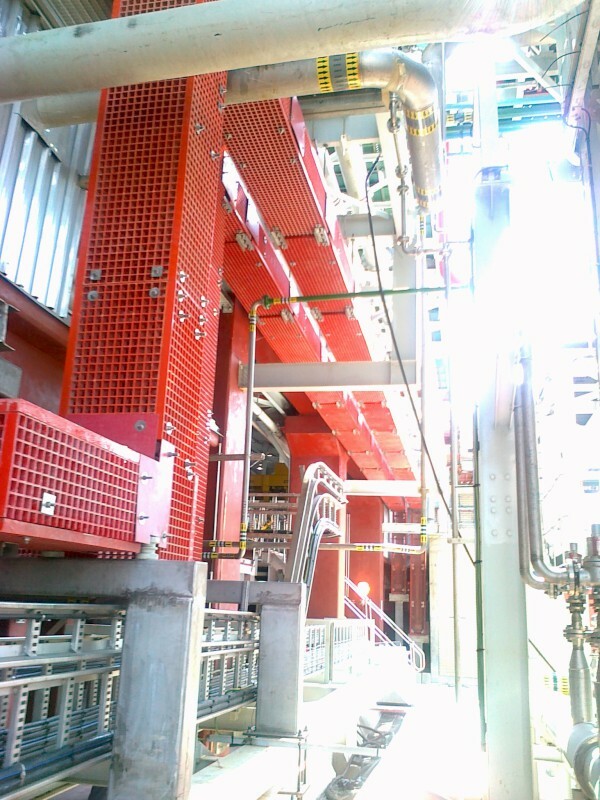 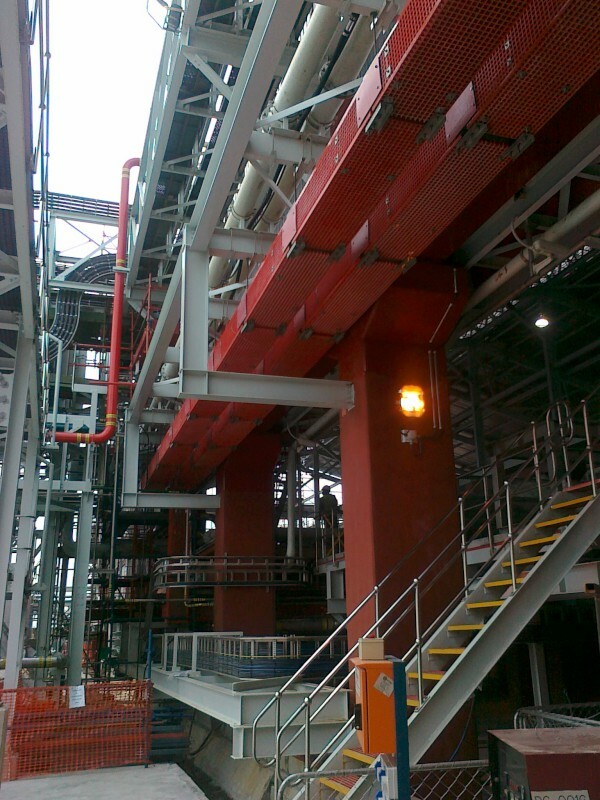 Busbar Services can work with refinery operating companies or EPC companies to design and engineer busbar systems that will deliver the optimum electrical performance for a given refinery. 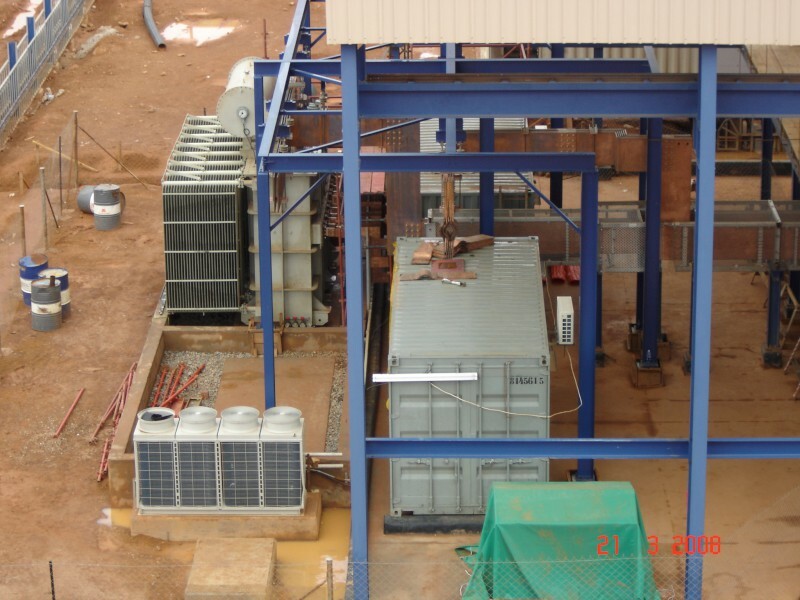 This can be done from basic operating parameters and plant layout drawings from the client. 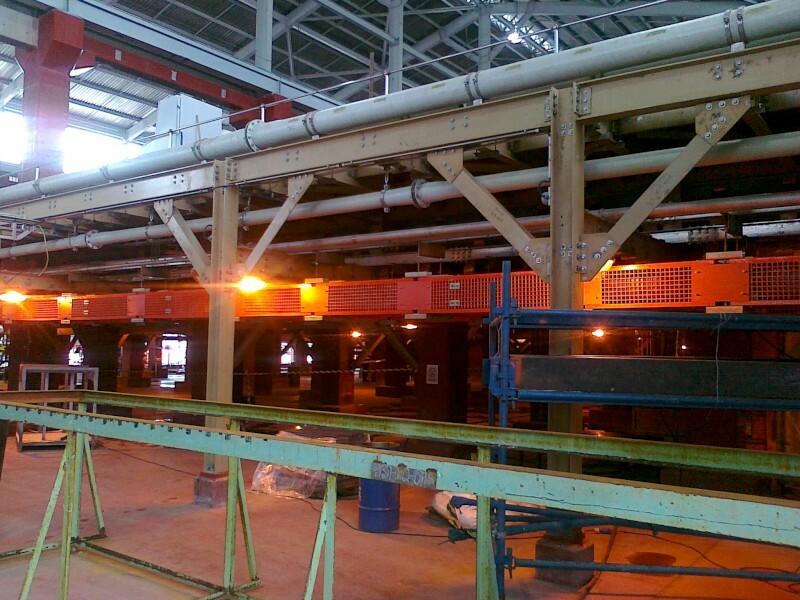 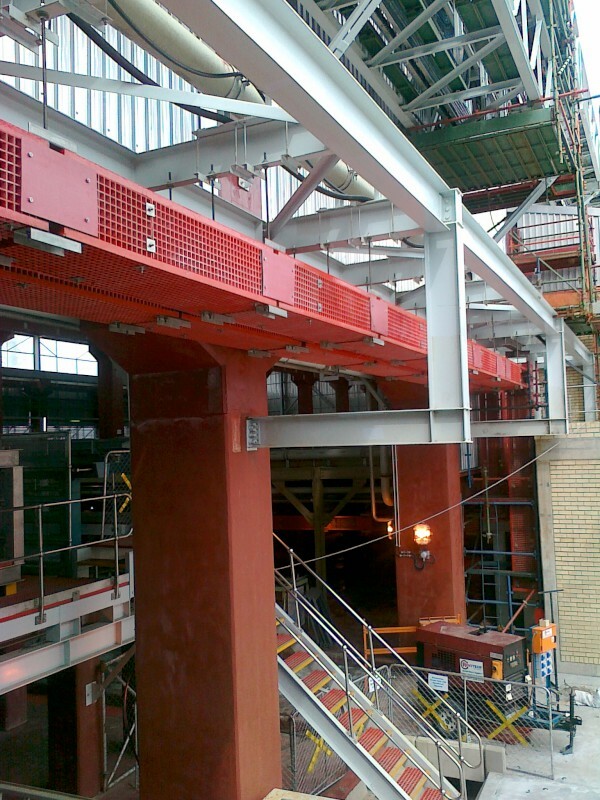 Once the performance specification is agreed the layout and detail drawings can then proceed. 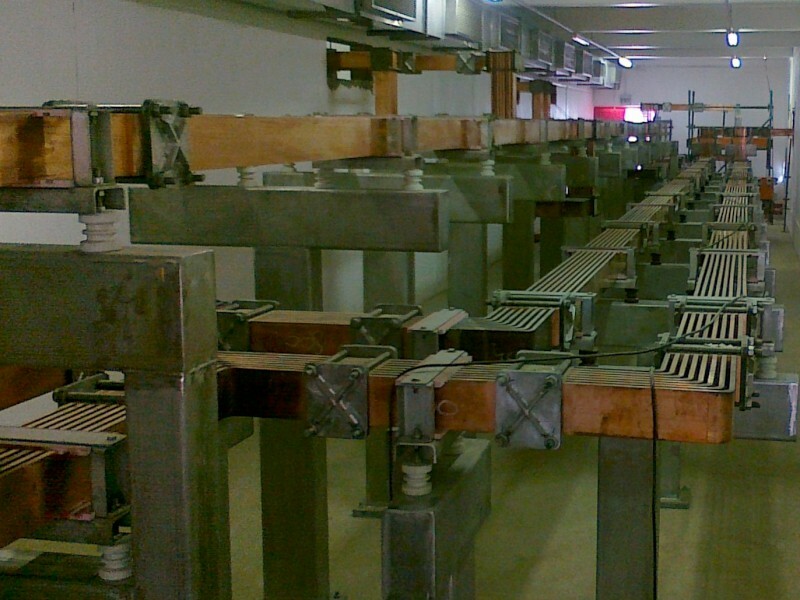 Once initial layout drawings are approved we would then start production of the complete Busbar system. 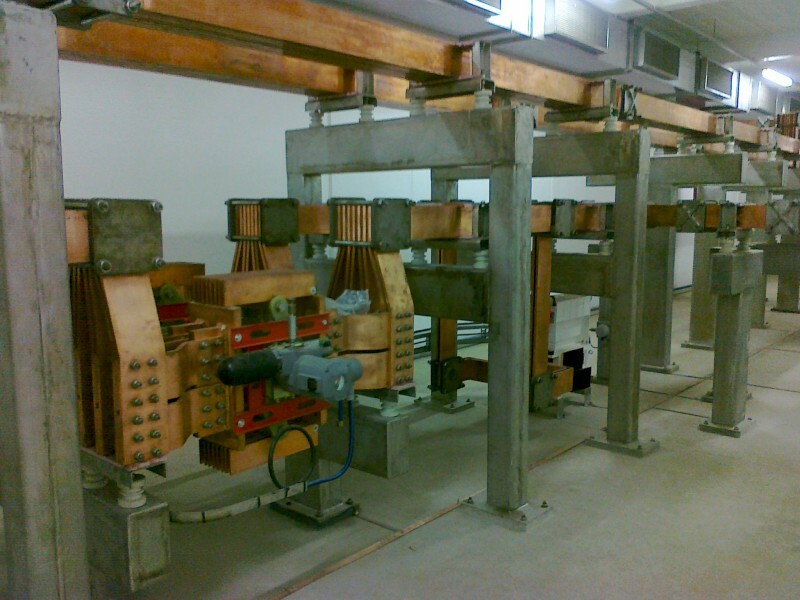 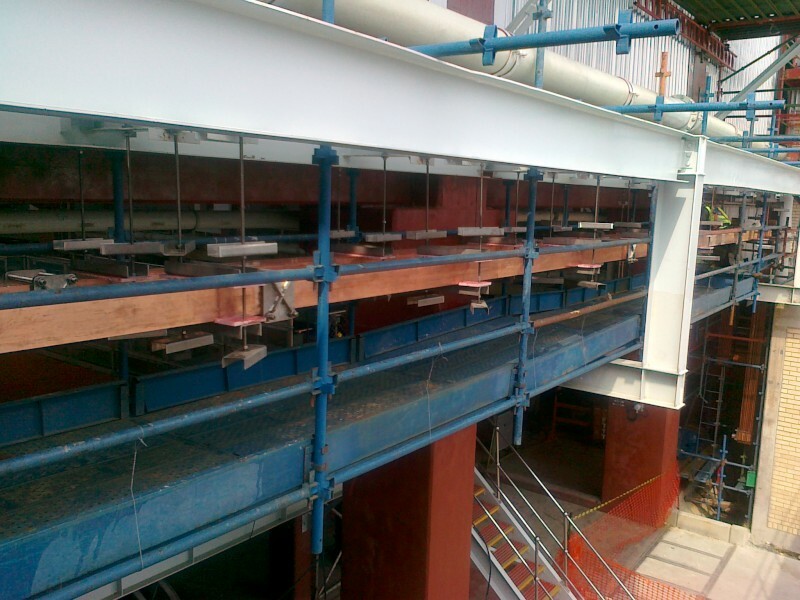 The completed busbar systems are then preassembled into modular form and containerised for delivery to site. 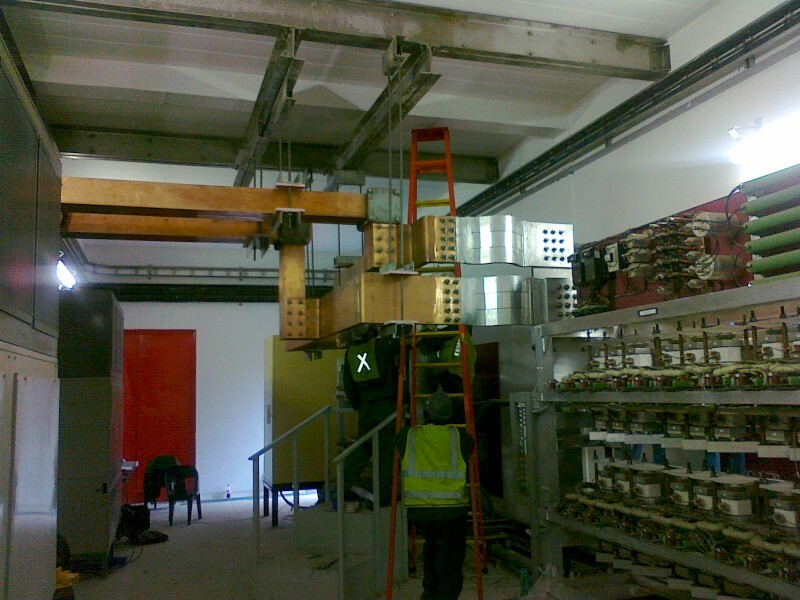 Busbar Services site installation team will install and commission the complete Busbar system on-site or if required will supervise the installation using the clients personnel.